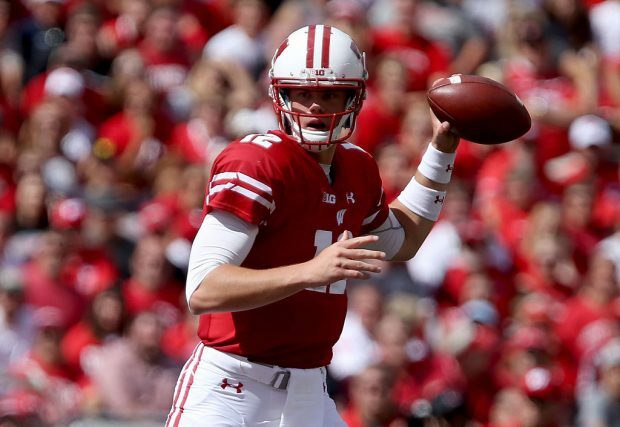 Fox Sports pundit Colin Cowherd’s disrespect of Wisconsin football is mind-blowing. “The spread is 10. Michigan blows out Wisconsin,” Cowherd preached. I respect the hell out of Cowherd, but he couldn’t be more wrong about this prediction. Wisconsin could lose this game, but there’s no way they’re getting blown out. The Badgers went into East Lansing and threw Michigan State, a top 10 team, up against a wall. The Wolverines have talent across the board, and Jabrill Peppers is a special player, but you know what Michigan doesn’t have? An elite freshman quarterback that rocked one of the best defenses in America. Alex Hornibrook is a gunslinger sent from the heavens to dominate college football. Am I going to say I know more about sports than Colin Cowherd? Absolutely not. Will I bet in favor of a Wisconsin quarterback that prepares for games by listening to country legend George Strait? Absolutely, because guys that prepare with George Strait music don’t lose. That’s just science.